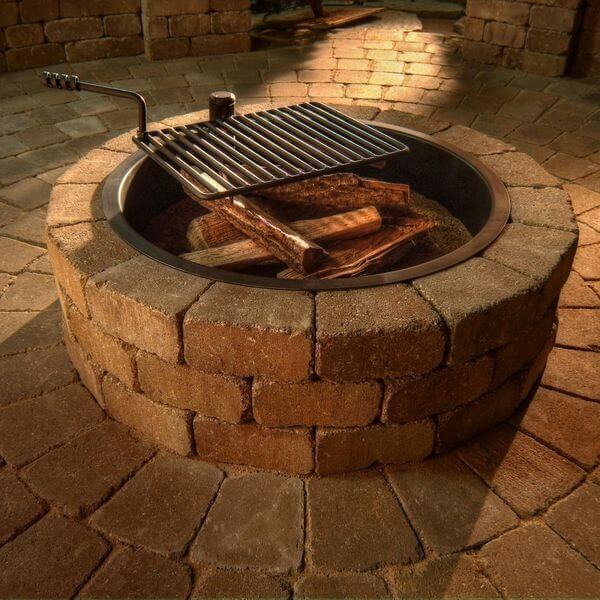 Build your own unique fire pit with the help of the handsome Necessories Compact Fire Ring with Grate. These pits include all materials that you need to build, including heavy gauge steel inserts that help to protect your blocks. A swivel cooking grate is included for outdoor dining. Each stone is 4 in. x 8.5 in. x 5.5 in. and weighs 13.5 lbs. The Hudson Stone 40 in. 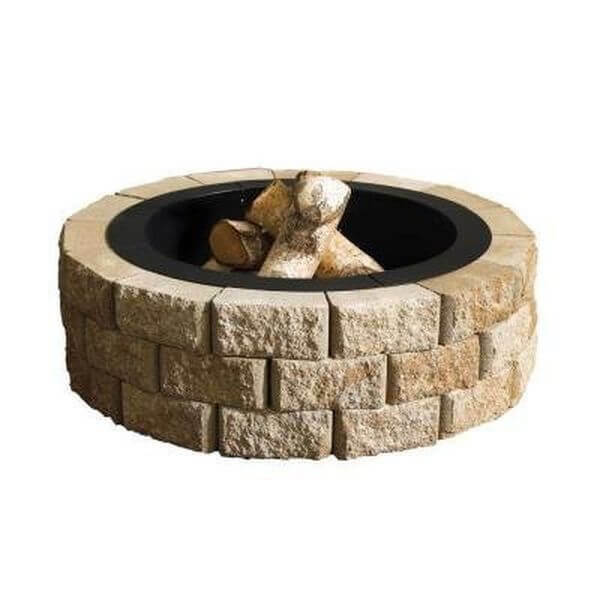 Round Fire Pit Kit is a rounded kit that offers you 42 stones and a single metal fire ring. These are excellent for stylish outdoor fires. The bricks measure 4 inches by 8.5 inches by 5.5 inches in order to make a stylish statement for your outdoor sitting area. 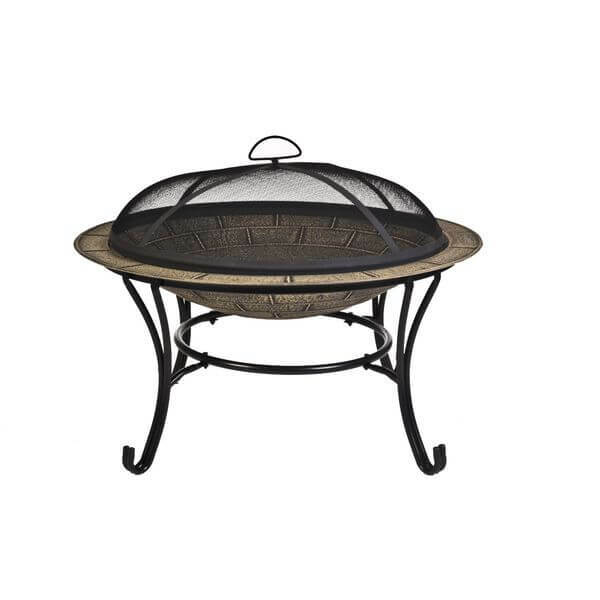 Weighing 22 pounds, the heavy duty CobraCo Round Cast Iron Brick Finish Fire Pit with Screen and Cover offers strong, square steel bowl supports as well as stylish, decorative and durable legs. There is a classic brick pattern in the bowl to provide a traditional appeal. 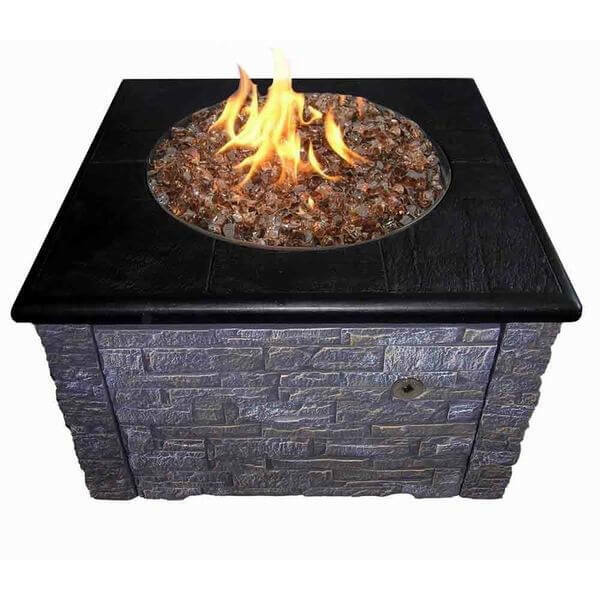 Get a taste of Old World fire pits with the Micro World Magnesia Old Frontier Fire Pit. This wood burning fire pit is made from top quality magnesia. It is completely resistant to weather and corrosion, making it a durable pit that can last for years to come. 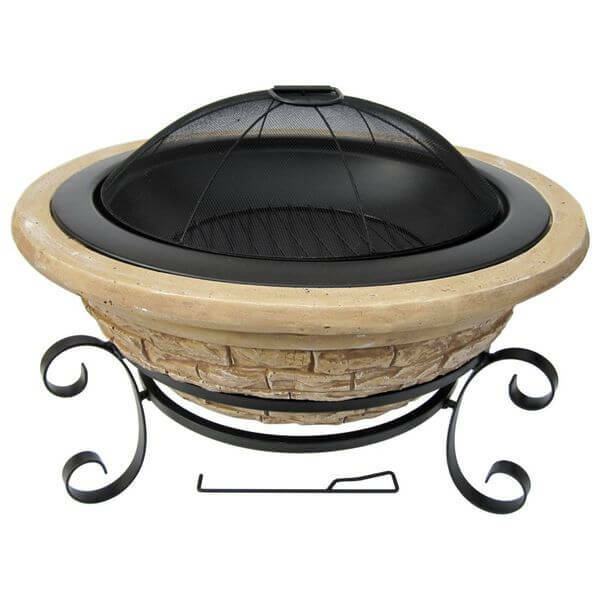 Tall and rustic, the Brick Firebowl Patio Heater Outdoor Fire Pit with Cover is made with lava rocks that give it a castle style appeal. Simple to operate, this unit can deliver anywhere between 20,000 and 30,000 BTUs of heat at any given time to warm up areas large and small. 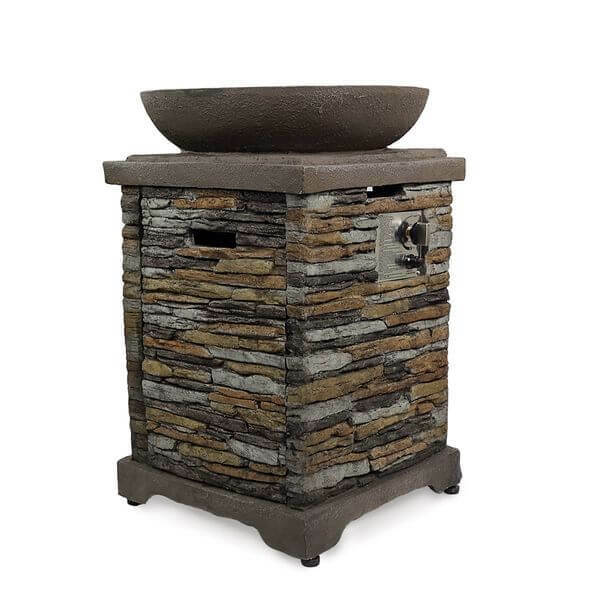 Squared off and elegant, the Stacked Stone Firepit Kit is a 36 inch tabletop supercast that has been given a striking slate finish. It features four quick-fitting decorative stone style inserts that are simple to install. These “stones” sit atop a durable steel frame to promote a long life.